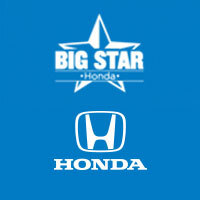 Big Star Collision is dedicated to providing all of our customers with a hassle-free repair experience. Our ongoing mission is to develop long term relationships with all of our customers. We want to make you our friends, not just our customers.The entire staff at Big Star Collision is dedicated to helping you get your vehicle back on the road in the most efficient way possible. It would be our privilege to help you through the entire repair process. To provide you with a collision repair experience that provides the highest possible repair quality for your vehicle while treating you with the respect that you deserve. We can assist you in the filing of your claim and advise you if filing a claim would be in your best interest. Free shuttle service for when you leave your vehicle for repairs and to pick you up when the vehicle is ready. Answer any questions you may have about the repair process. Work with your insurance carrier to insure that the proper repairs are being performed on your vehicle. Provide you with an estimated completion date for your vehicle based upon the repair estimate and reasonable parts availability. Every repair performed at Big Star Collision Center has a lifetime* limited warranty for as long as you own your vehicle. Direct billing to the insurance carrier means you won’t be stuck waiting for a check from the insurance company after your vehicle is complete (note: not all carriers will agree to direct billing).